Pleasant bourbon maturaing, well felt the distillery character. Vanilla, honey, salty caramel, earth, oak and little smoke. Powerful. Waxy apple, grapefruit, herbals, pepper, salt and ginger. Vanilla and oak. 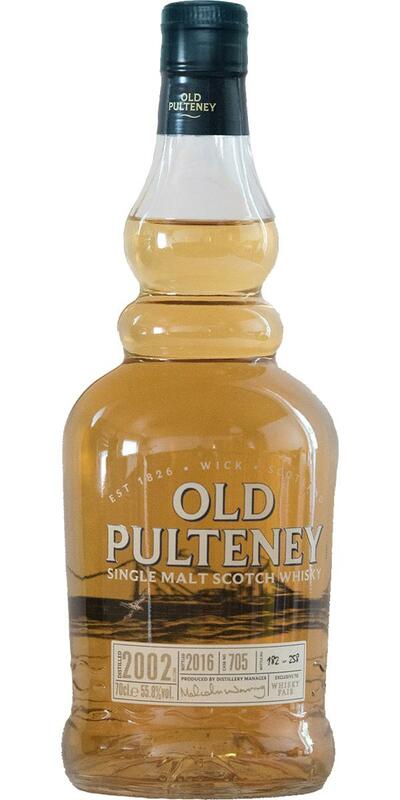 I’m always pleased to see Old Pulteney bottled like this – straight-forward ex-bourbon to my mind is highly suited to the distillery’s style and character. 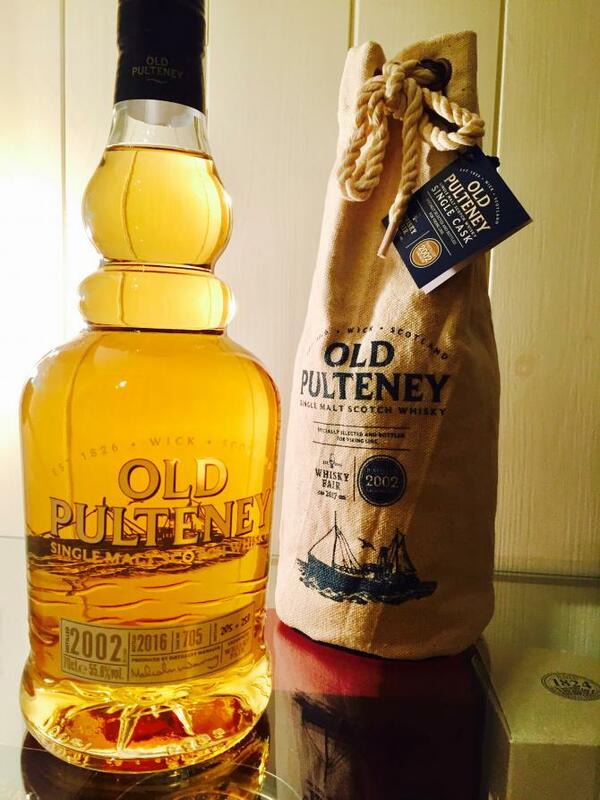 This 2002 bottling is a good example of non-nonsense ex-bourbon OP – fresh and zesty and with more than enough salinity to honour the maritime malt brand. Cask and coastal character. Plenty of creamy vanilla, honey and malty biscuit aromas are expressed in a fresh vibrant nose. Green apples, grapefruit and a health twist of lemon juice are joined by some earthy minerality – think of a gravel-strewn beach, or a sea-licked rock pool. Of course, there’s that unmistakable OP salinity in the mix - offering sharpness and balancing well with the fruity elements and malty vanilla driven core. A few drops of water adds sweetness to the fruits making then almost syrupy. It also helps express the underlying earthiness with some drying hay notes. A great translation from nose to mouth – with a powerful arrival. Apples come through immediately and are joined by ear drops and tart, tangy lemons and grapefruits – much juicier than the nose implies, these are supported by herbalness – green leaves and forest moss. More than a sprinkle of salt adds sharpness, but still fits within a very fresh profile. Water brings our more of the cask – touches of vanilla, ginger and particularly cracked black pepper. Medium to long and packed full of citrus and salinity. N: Grainy/creamy with a little [Benromach-y] ppm/barley smoke. T: Spikey before opening out its hearty bourbon spread. He needs time, then he gets really tasty. Good barrel selection. Short to medium. Like a pleasant wax coating on the teeth or as if you had your mouth full of marshmallows. A little chocolate and caramel.